Hyperpigmentation due to medication is fairly common (10 to 20 percent) and is called medication-induced pigmentation (MIP). Hyperpigmentation can be the direct result of the medication or can result from the combination of the drug with a triggering effect – usually the sun. Some medications cause an allergic reaction, which appear as red swollen patches that sometimes blister. With each dose of medication, the lesion reoccurs in the same place and new lesions may form. These lesions can leave a dark spot that will slowly fade to a brown or purple color. When a medication causes hyperpigmentation without the sun, it usually appears on the face, often around the mouth area, although it can affect other parts of the body, as well. Being in the sun when taking certain medications can result in phototoxic and photoallergic reactions. Many clients do not realize that medication can cause hyperpigmentation. Ask clients every visit if they started new medications. If starting a new medication coincides with their new hyperpigmentation, advise the client to check with their medical provider as soon as possible to see if they can use a different medication. Many clients use contraception, which mimics the hormones of pregnancy by maintaining a constant level of estrogen and progesterone so that ovulation stops. These hormones can trigger hyperpigmentation. Usually, when the contraception medication is discontinued, the hyperpigmentation may fade away, but not always. Medications that treat menopause can also cause hyperpigmentation. While trying to fade it, wearing and reapplying sunscreen is mandatory because the dark spots that are a result of medication will get darker with sun exposure. The main drugs implicated in causing skin pigmentation are nonsteroidal anti-inflammatory drugs, antimalarials, amiodarone, cytotoxic drugs, tetracyclines, heavy metals, and psychotropic drugs. Drugs.com is a good resource to check to see if medications might cause hyperpigmentation or photosensitivity (which could lead to hyperpigmentation). Even over-the-counter medications can cause hyperpigmentation. Be aware that diurectics and painkillers can also cause hyperpigmentation because they contain hormones that trigger melanin production in the skin. Certain medical conditions can also result in hyperpigmentation of the skin. These include Addison’s disease, hyperthyroidism, and hemochromatosis. Skin can be more sensitive to the sun because of topical skin care products and procedures that heat up or remove the outer layer of skin. 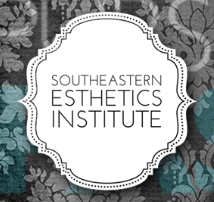 Procedures include waxing, peels, IPL, laser, microdermabrasion, and more. Alpha and beta hydroxy acids, retinol, and benzoyl peroxide are some of the topicals that can make skin more sensitive to the sun and may result in hyperpigmentation. For some people, some ingredients in sunscreens can cause phototoxic or photoallergic reactions such as para-aminobenzoic acid, cinnamates, benzophenones, and salicylates. Essential oils, citrus fruits, and fragrances can be photosensitizing, as well. It is best to not expose skin to sun for 12 hours after application of an essential oil. If a reaction occurs, clients should get out of the sun and bathe the affected area with a carrier oil or full-fat milk. Most fragrances do not have an ingredient list (proprietary), so it is hard to know if they contain troublesome ingredients. Some known photosensitizing ingredients that are in fragrances include furocoumarins, phenylacetaldehyde, musk ambrette, and 6-methylcoumarin. Post-inflammatory hyperpigmentation (PIH) results from inflammatory skin conditions – such as acne, folliculitis, lichen planus, herpes zoster, dermatitis, or eczema – trauma, chemicals, skin products, or even an inflammatory procedure (laser, cauterization, and others). PIH is often called a stain and tends to appear pink on lighter skin tones and brown on darker skin tones. It can take a very long time to heal and sometimes never heals completely. Physical injury to the skin can also leave behind dark marks after healing. These include scratches, burns, and pimples – especially those that have been squeezed. Repeated friction on the skin day after day in the same spot can cause darkening of the skin in the affected area. Treatment and homecare should focus on healing and brightening ingredients. Melasma is easy to identify, since it presents as brown patches found in a characteristic, almost symmetrical, pattern on the face, usually on the forehead, cheeks, bridge of nose, chin, or upper lip. There is no definitive reason as to why women develop melasma. It tends to occur in women who are pregnant or using contraception and who live in sunny climates. However, it may occur in the absence of these factors and is sometimes seen in men. Melasma is a puzzle that no one has completely figured out. It is thought to be estrogen driven, but postmenopausal women given progesterone develop melasma, while those given only estrogen do not. Since melasma develops because of internal hormonal changes, it is much harder to treat. Often what works for one person does not work for another. There is no cure for melasma, but it can be managed. Skin lighteners such as hydroquinone can help control the amount of melanin that is being produced. Skin brighteners such as vitamin C can help lessen the appearance of melasma. When treating skin for hyperpigmentation, remember that the melanocytes responded to injury (or perceived injury) by making more melanin, so it is important to be progressive and not aggressive. Being too aggressive with treatments can do just the opposite of what a professional is trying to achieve. If the skin has been injured, allow healing time. Start with a homecare regimen of healing products, slowly adding brightening, lightening, peels, retinoids, and so forth. The same is true for treatments: be progressive, not aggressive. Enzymes are among the most gentle ways to remove the outside layer of the skin. Since the upper layer of the skin is mostly dead skin cells that contain keratin protein, the enzymes work by specifically breaking down or digesting the keratin protein, resulting in smooth skin. Dermaplaning is a beneficial exfoliation treatment for all skin colors, with no down time. A sterile blade is used to gently remove peach fuzz and dead skin cells (along with hyperpigmentation in them) from the epidermis. This buildup of dead skin and hair can make skin look dull and flaky and can even cause breakouts because of clogged pores and hair follicles. Removing this buildup will also help lightening and brightening products penetrate better so they can work faster. Microdermabrasion uses a machine to rapidly exfoliate the outer layers of skin and a suction to accumulate them from the skin. There are two main types of microdermabrasion techniques: crystal and diamond tip. Microdermabrasion should not be painful and there is no recovery time. Once the pink subsides, skin is left smoother and softer. Just like enzymes and dermaplaning, microdermabrasion treatments can improve the appearance of skin discoloration, though the results will not be as effective for deeper pigmentation problems. Microneedling is a great treatment for just about every skin condition and every skin color, unlike lasers, chemical peels, and IPL. Lasers and chemical peels are ablative because they remove tissue to start collagen production. Microneedling simply creates micro-injuries (tiny vertical channels) without heat and without removing layers of skin. The recovery time is usually a couple of hours, although a client’s face may look and feel very sunburned for a day or so. Microneedling will not thin the skin like microdermabrasion and ablative treatments. Microdermabrasion only treats surface skin, while microneedling is able to go very deep into the skin – up to two millimeters – to stimulate new skin growth and reduce scars. With IPL and lasers, dark spots often get darker before improvement is made, but this is not so with microneedling. Microneedling releases growth factors, which cause beautiful, new skin to form with lessened or no brown spots, wrinkles, or stretch marks. A stamped method of microneedling causes the least amount of damage to the skin, as there is no dragging of the needles through the skin and the needles go in straight up and down, unlike a roller. For optimum results, immediately after microneedling, apply serums containing ingredients such as hyaluronic acid and stem cells. Chemical peels use acids to treat the desired area of skin by irritation that leads to desquamation or burning. The type of acid, as well as the percentage, pH, and formulation, determines if it is a light, medium, or deep peel. Training is required, as improperly preparing the skin, failure to inform the client of expected results, downtime, and possible reactions, and improper homecare can result in worsened pigmentation and scarring. Light peel solutions might use alpha hydroxy acids, such as lactic and glycolic, beta hydroxy acids (salicylic acid), or fruit acids at 30 percent with a pH of 3. Peeling may not be visible with light peels. Light peels can be repeated every four weeks and are useful for creating cell turnover for a more radiant look, while evening out skin texture and fading discoloration (melasma, sun damage, hyperpigmentation). Medium peel solutions include 30 to 40 percent TCA, 70 percent glycolic acid, and Jessners solution (salicylic acid, resorcinol, and lactic acid). This peel destroys the top layer of skin, triggering an inflammatory response from the skin layers that sit below. Skin has a natural intuition to heal itself. As the dermis heals, new collagen forms and the old collagen tightens. Any problems on the layers removed (like actinic keratosis, hyperpigmentation, scarring, and lines) are gone. Recovery time can take several weeks and clients must adhere to strict sun avoidance, sunscreen, and no picking. The deeper the peel, the more possible the risks, such as redness, irritation, blistering, scars, and even increased hyperpigmentation. Deep peels are only done by medical personnel in a surgical setting under general anesthesia. Solutions include deep TCA and Phenol solutions. They reduce the appearance of hyperpigmentation by removing the epidermis. Recovery time can be up to three months. Skin is sore and will ooze and scab. People with darker skin often see a definite line between treated and untreated areas. These peels are helpful for deep wrinkles, severe acne scars, hyperpigmentation from the sun, and pre-cancerous growths. IPL therapy is also known as a photofacial. IPL treatments are similar to laser treatments in that they both use light energy to heat and destroy their targets. Lasers use a single wavelength (color) of light that can only treat one condition. IPL uses a broad spectrum of bright lights with a filter placed in front of it to censor out certain wavelengths not consumed by pigment and blood vessels. The light energy penetrates just below the skin’s surface to reach its target in either the melanin or the blood vessels. If the pigmentation is deeper, it will not be affected. Also, the heat of the IPL can darken some skins. Many clients see significant improvement within two to three weeks after their IPL treatment, as skin looks clearer and younger. IPL provides gradual, natural improvement with excellent long-term results. Skin looks clearer, younger, and healthier as sun damage, fine lines, pore size, freckling, and irregular pigmentation are minimized. A laser peel uses targeted beams of light to rejuvenate the skin and reduce hyperpigmentation by heating up and destroying elements in skin to ensure that new skin cells grow back tighter and more toned. They are usually done by medical personnel under general anesthesia. There are two types of lasers: ablative and nonablative. Ablative lasers are the most intense and they work by vaporizing the outer layers of skin (including hyperpigmentation). This causes the skin to heal and restructure. The results are visibly younger-looking skin that can last for one to five years. These procedures are painful, require more recovery time (anywhere from two weeks to three months), and pose a higher degree of risk including redness, swelling, acne, infection, skin color changes, and scarring. Nonablative lasers are far less invasive than ablative treatments. They work by heating up the targeted tissue deeper in the skin, without actually destroying it. This process stimulates collagen production to fill in unwanted skin imperfections, such as fine lines or wrinkles, and tighten the skin. Because nonablative lasers do not resurface the skin as invasively as ablative lasers, multiple treatment sessions would be necessary to achieve results, but they will not be as dramatic as the results achieved with ablative lasers. However, clients benefit from almost no down time and the risk of undesirable side effects is greatly reduced. Some risks associated with nonablative lasers include mild redness and swelling, blisters or scars, infection, and skin color changes. Heat can also cause changes in skin color for some people. Clinical treatments are wasteful and dangerous unless the skin is being protected by a broad-spectrum sunscreen of at least 30 daily, reapplied as needed. There are many wonderful topical products that can be used to lighten or brighten hyperpigmentation spots, including skin lighteners, retinoids, AHAs and BHAs, vitamin C, and skin brighteners. What is a skin lightener? The FDA considers skin lightening a drug effect and currently only allows use of hydroquinone as a skin bleaching agent in over-the-counter drug and cosmetic combinations (up to 2 percent). Hydroquinone is approved for reducing the look of brown spots, dark spots, and freckles that result from sun exposure and from other triggers. Doctors can prescribe hydroquinone up to 8 percent. Hydroquinone should not be used for a long period of time, as prolonged use may cause cancer and can actually cause more bruise-like pigmentation called onchronosis. Onchronosis can also sometimes appear on darker skin after exposure to phenol or resorcinol. Retinoids are derived from vitamin A (prescription or over-the-counter). Retinoids have a small molecular structure, allowing them to penetrate deep into the skin. Benefits include increased collagen production, clearer skin, and fewer wrinkles. It is best to use retinoids at night. They can be irritating, so they must be added to a skin care regimen gradually. It is important to be careful about mixing retinoids with other beneficial, but irritating, ingredients, including vitamin C, benzoyl peroxide, and AHAs and BHAs. It is important to consider the sensitivity level of each individual’s skin. These ingredients may be contraindications when performing peels, waxing, laser, and so forth and a broad-spectrum sunscreen is a must. Hydrating and moisturizing the skin is especially important for barrier repair when using irritating, exfoliating, and brightening products. At home, AHAs (with an acid content of 10 percent or less) work well for mild hyperpigmentation. Higher concentrations can increase risk of side effects. BHAs, including salicylic acid in concentrations of two percent or less, are also effective homecare products that can help with hyperpigmentation. AHAs and BHAs both smooth skin’s outer surface and speed up cell turnover. AHAs dissolve the intercellular bonds to speed up the natural shedding process of skin, helping to get rid of cells that can clog pores and follicles. The main difference between AHAs and BHAs is oil solubility. AHAs are water soluble only, while BHAs are oil soluble. BHAs also have antibacterial and anti-inflammatory properties, making them also effective for treating acne-prone skin and blackheads. Anti-inflammatory properties also make BHAs less irritating and better for sensitive skin. AHAs and BHAs make skin more sensitive to the sun, so a broad-spectrum sunscreen is a must. A combination of AHA and BHA homecare products is ideal for most skin types. It is best to use them at night. For the morning homecare regimen, include vitamin C to help lighten pigmentation and protect skin from age-causing free readicals. Vitamin C is powerful as an antiaging nutrient in that it stimulates collagen production to improve firmness and elasticity while visibly tightening saggy skin and diminishing the appearance of fine lines and wrinkles. Topical vitamin C will improve the brightness, tone, and texture of skin. Other topical treatments that help lessen the appearance of hyperpigmentation are called skin brighteners. Skin brighteners generally take longer than hydroquinone to produce visible results, so patience is key. The spots did not get there overnight, so fading them will be a process, as well. Using a product with a combination of brighteners to attack the hyperpigmentation in various ways is best. Clients usually prefer a complex of skin brighteners in a single serum. Whitonyl, B-White, Luminesse, niaciamide, licorice extract, and kojic acid are a few ingredients with proven results to consider. Patience is important when trying to fade hyperpigmentation. A one-size-fits-all treatment approach to hyperpigmentation will fail. Light, medium, and dark skin tones can use some of the same therapies, but darker skin tones need more time for the treatment to work. While fair skin responds well to most hyperpigmentation procedures, the following might be off limits if a client tans easily or has darker skin: high-beam lasers and IPL therapy. Medium skin tones may do better with chemical peels and microdermabrasion. Darker skin tones might benefit more from over-the-counter lightening creams, lower-strength chemical peels, low intensity laser treatments, and more sessions. In summary, it is complicated and must be dealt with on a case by case basis. Attacking hyperpigmentation progressively, not aggressively, is important; aggressive may result in more hyperpigmentation. When it comes to homecare, only introduce one new treatment product at a time and evaluate how the skin responds. Combining homecare lighteners or brighteners with clinical treatments will achieve the best results on hyperpigmented skin.